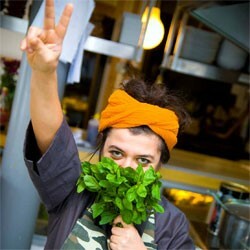 Renowned food artist of Istanbul, Dilara Erbay and designer mixologists of Brooklyn, Guinea Pig Group, will present a collaborative live performance where Turkey’s unique culinary secrets will be paired with the artisanal cocktails of Brooklyn. While Dilara Erbay reveals her “traditional and experimental” creations of food with exotic and natural ingredients, The Guinea Pig Group mixologists will be spontaneously blending cocktails in their shakers inspired by the sculpture as it progresses. Take part in this experimental affair of creativity that combines unique samples of food and drinks. As you mark your calendars for the weekend, also make plans to see Dilara’s unique food installation, Wishing Tree, at the Design: Istanbul-New York booth. This event is free; pre-registration is required here.